CVM is comprised of a group of directors (8-10 members) and still has some of the original directors when they started. They have added some and some didn’t have the time. They all try to bowl the tournaments but sometimes they can’t because they are too busy running the event. They also have some friends that help them out if they are available. For the horizon, John said, “We are moving into live streaming the events with some commentary. We are also going to be starting a podcast about bowling to let people know what’s going on in local bowling. We will also continue doing fundraising for children in need.” The last two years their Christmas for local needy kids have been a huge success bringing local bowlers together for a great cause. Now they are thinking of adding a fundraiser for back-to-school supplies for kids, so stay tuned for that. 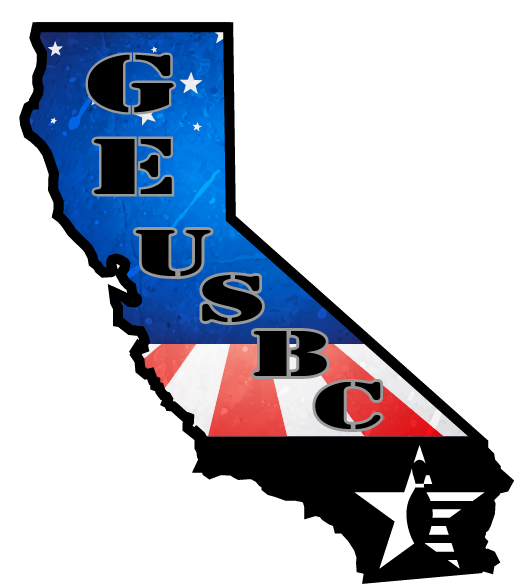 The 12th annual CUSBC State Convention took place up north in Fresno the weekend of June 9-10. Delegates from associations all across the state attended. Golden Empire USBC was represented by Pres. Ray Neubig and Directors Bette Addington, David Waybright and Amber Waybright. David Waybright serves on the CUSBC State Board as their 2nd VP. Saturday afternoon was the USBC Jamboree that started with a presentation by David Prange/USBC Western Regional Manager. David gave us a recap of what was covered at the recent USBC National Convention that was held in late April in Reno. First we saw a video of this year’s motivational speaker, Sam Glenn entitled “Igniting Progress” which was centered around our attitude. He demonstrated by painting a canvas himself which surprised everyone when it turned out to be an eagle. His main points were to combat stress with a good sense of humor. Is there any benefit to being uptight? A real leader understands they are a student every day. He then reflected on his Mom and her fight with cancer and who is now a cancer survivor because attitude is everything! He also used an example of sharing your popcorn is sharing your heart. Tournament Rule 303 – requires all tourn. mgrs. be members of USBC. Tournament Rule 319a – Assoc. Mgrs. not required to use printed Average Books anymore. Tournament Rule 325 – Allows a tourn. to have a rule to allow teams bowling alone to set their own pace. Bylaws B3 – Allows State Assoc. to have (2) “At-Large” Directors. The above are all effective Aug. 1, 2018. Next up was explaining the new requirements for Lane Certification Committees that took effect Apr. 1, 2018 on measurements and the new requirement of having three signatures on the reports (person doing inspection, proprietor and Assoc. Mgr.). This service is being done for the proprietors. Did you know, 85% of the lanes in the country are synthetic (measuring 5 panels)? Three panels are for wood lanes. All lanes will be certified because of now measuring all 5 panels. Next year they may not if the lanes don’t make the corrections or fix problems. Inspection equipment can be ordered at USBC bowling store.com but it’s not cheap ($695). Also, Lane Dressing Inspection Reports are required annually. He mentioned ARC (Assoc. Resource Center) that is on bowl.com and is updated and invited all to go in and check it out and download it. Then he went into the Bowling Ball Technology Study which is the result of four years of testing. Some of the changes to ball requirements will come in 2019; others in 2020. The reason for these changes is because the volume of oil has tripled over the last decade. Bowling balls have advanced technology but the lanes/playing field are still the same. One of the biggest changes that affects the most bowlers is that the balance holes must be plugged by July 31, 2020 (this process can start Jan. 1, 2020). We were told these changes need to be done to protect the playing surface because things like scuffing grit on urethane balls is hard on the lanes. Also, we were told not to plug balls now or they are illegal. Another change to be aware of is bowlers can only us a dry towel during competition. We were told that if centers add more and more oil to protect the lane surface and slow down the transition. USBC wants to keep the same scoring pace with lower oil volume. Merger Update – 125 mergers of associations completed this last season. There is approximately 250 left to complete this year. Nationally, USBC processed 60 of the 250 already this year. Tracy, CA is the only association in CA not merged. The 2018 CUSBC Annual Meeting took place on Sunday morning. There were (55) Adult delegates, (13) Youth delegates, (3) CUSBC officers and (14) CUSBC Board members for a total of (85) eligible for voting. The State budget was discussed and CUSBC Assoc. Mgr., Larry Peppers, explained why there was an increase in office expense as they have moved into a larger office and will have an increase in utilities as they no longer are in a shared-office facility. Two youth bowlers were recognized that received the CUSBC $1,000 scholarship and one of them was our very own David Waybright! The 2017-18 CA BVL donations totaled $107,228.97. This was down from last year’s $108,500.00. GEUSBC received a plaque and certificates for our participation as we were one of the few associations who donated more than $3 per bowler with our BVL donation of $3,815.00 which was $3.28 per bowler. We increased from the previous year’s donation which was $3,575.00. The hat was passed around at the meeting and $1,055 was collected to kick off this year’s BVL drive! The 2019 State BVL Tournament will be held in Stockton. It was also mentioned that there will be some changes to the averages used – Men and Women will now use the same average divisions. Elections were held and Kathy Bruegeman was elected the new CUSBC President replacing Rosie Parker who termed out. David Waybright was re-elected to another term as CUSBC 2nd VP for Youth. And (5) incumbent CUSBC Directors were re-elected. 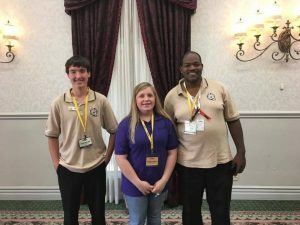 Congratulations to local youth bowler, McKenna Powers, 14, who was appointed to serve on the CUSBC Youth Committee. There was only one Bylaw Proposal (B-1) up for approval and it passed. It involved the Board of Directors/Election of Directors to have qualifications be submitted, in writing, at least 30 days prior to the opening of the Annual meeting to allow the Nominating Committee time to evaluate the qualifications of each candidate. The date and location of the 2019 CUSBC State Convention will be June 8-9, 2019 at the Marriott Hotel (used to be Radisson) in Ontario, CA. –Regency Lanes – A glimmer of hope? Heard through the grapevine that Regency has sold to a guy who is considering keeping maybe 20-22 lanes for bowling and using the rest of the facility for an indoor soccer field? 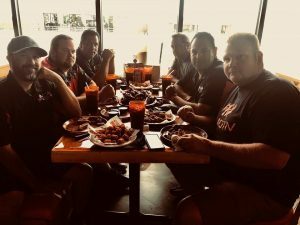 – Congratulations to Carlie Medina III on his 300 game bowled on Thurs., June 7, for his final game of the night bowling in Robb’s Ball league at AMF Southwest Lanes. – Congratulations to Nancy Curran for bowling her first 700 series on Thurs., May 31st, in Robb’s Ball league at AMF Southwest Lanes with games of 234-246-256 for a nice 736 series! And her team won all 4 too! Handicap Doubles: 1. RJ Richardson & Roy Jones (1773); 2. Angel Purcell & Tim Henson (1699). Handicap Singles: 1. RJ Richardson (900); 2. Angel Purcell (891); 3. PD Richardson (870). 3-6-9 pot was not hit and is currently around $320. Alex would like to give a shout out to his roll dog, Norris Richards for always helping him out! Note: NO Coffee Club this coming Sunday due to CVM Trios Tourn. in Santa Maria and it’s Father’s Day.